Enjoy the take two event from Easy Spirit. Today is the last chance to receive the offer. 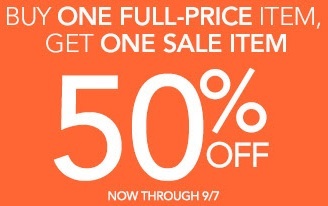 Buy one full-priced item and get one sale item 50% off. Hurry up, offer ends 09/07/2015. Source of the information is Easy Spirit. Offer is valid online only. More information available online.